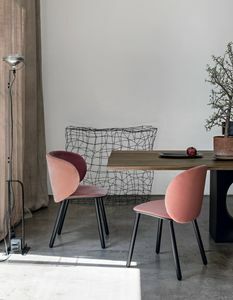 1950s atmospheres. 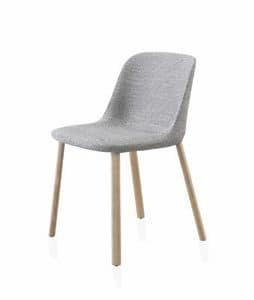 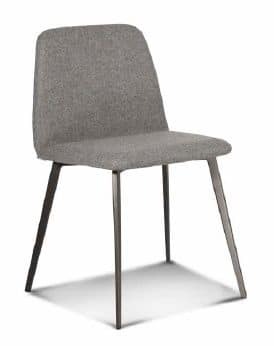 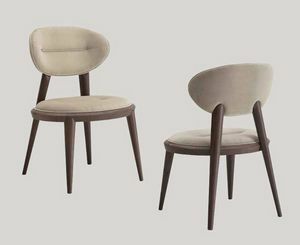 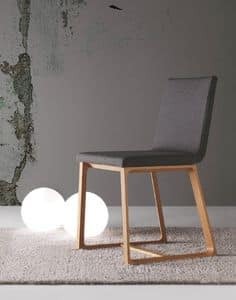 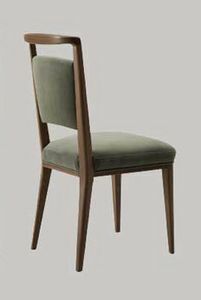 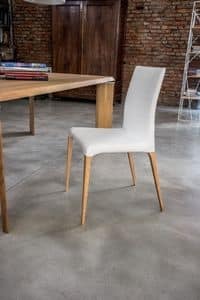 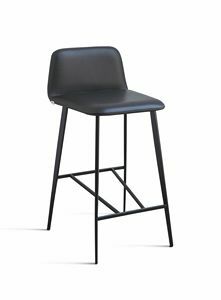 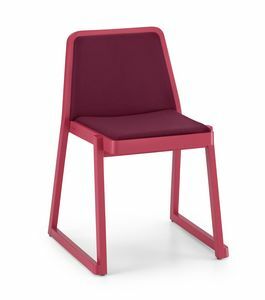 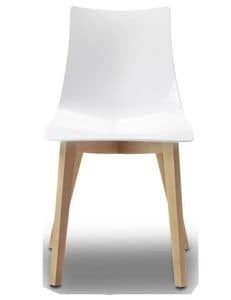 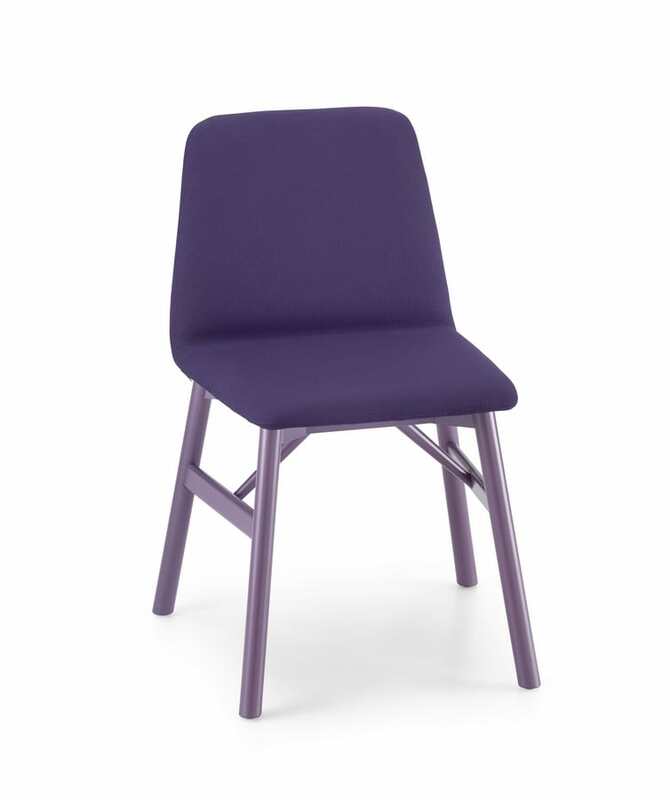 revisited and brought up-to-date, for a collection of pleasantly soft and graceful chairs marked by full volumes, rounded lines, smoothed corners and a unique overall harmony. 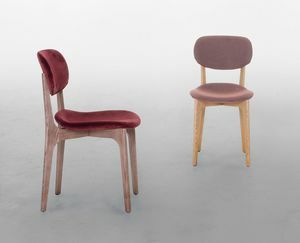 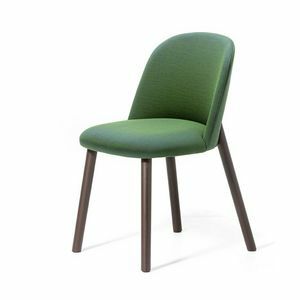 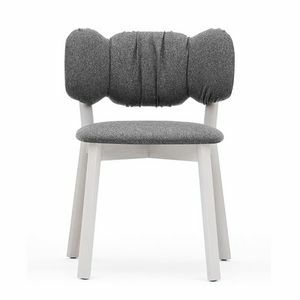 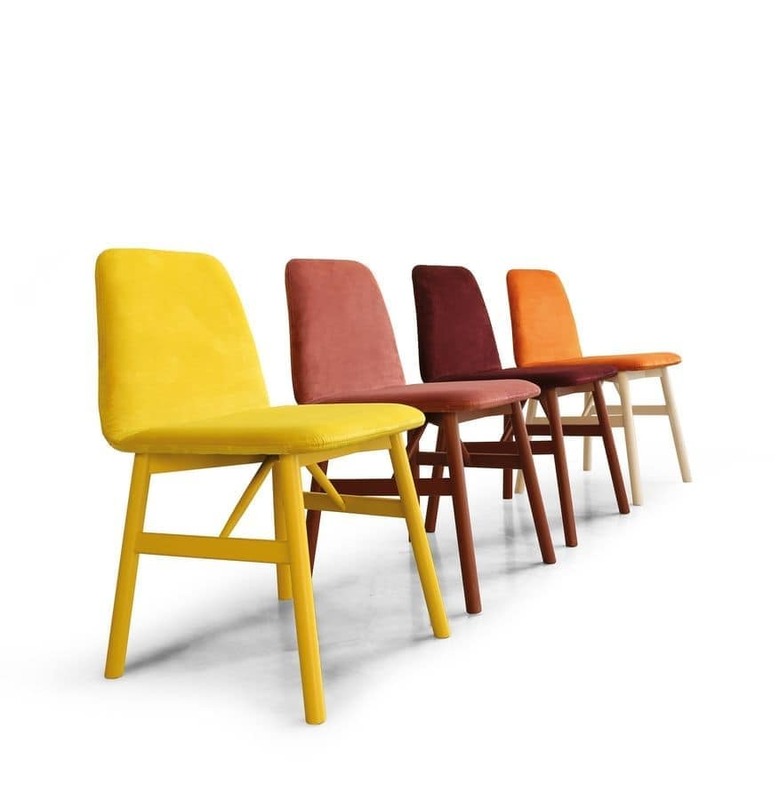 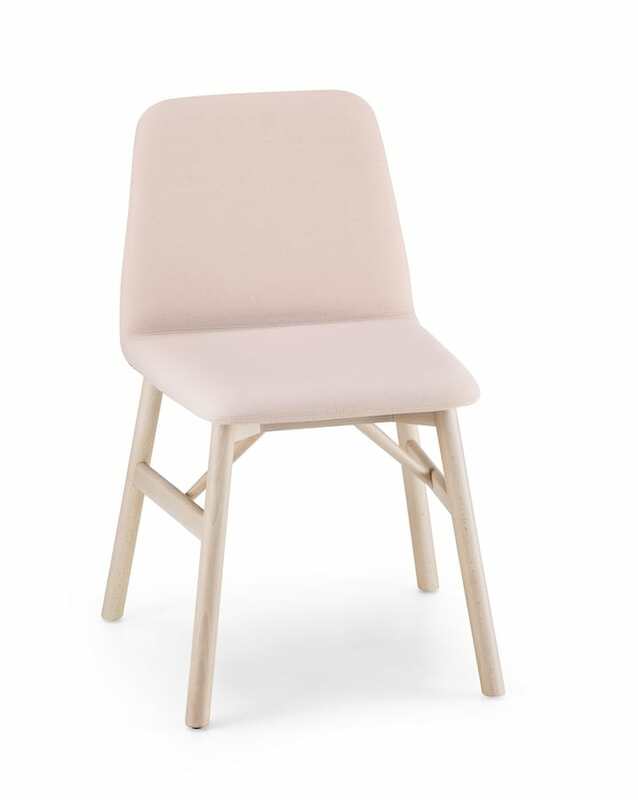 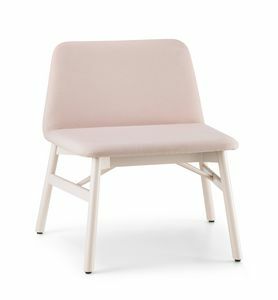 The plywood body is padded and upholstered in velvet, leather or faux leather. 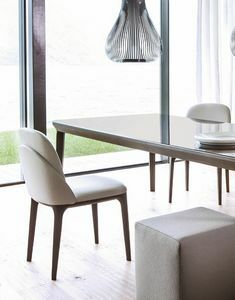 The frame is made of natural, bleached, cocoa- or tin grey-stained beech. 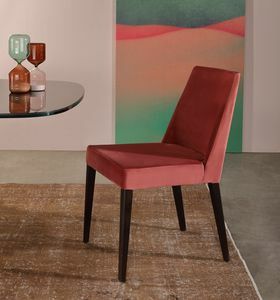 Particularly elegant and interesting are the versions in which the frame is lacquered to match the colour of the upholstery. 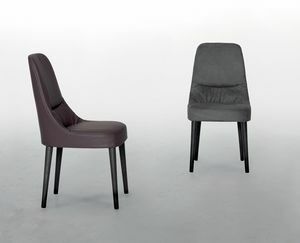 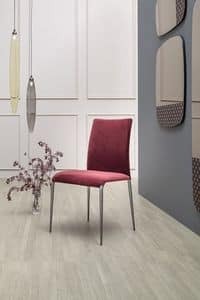 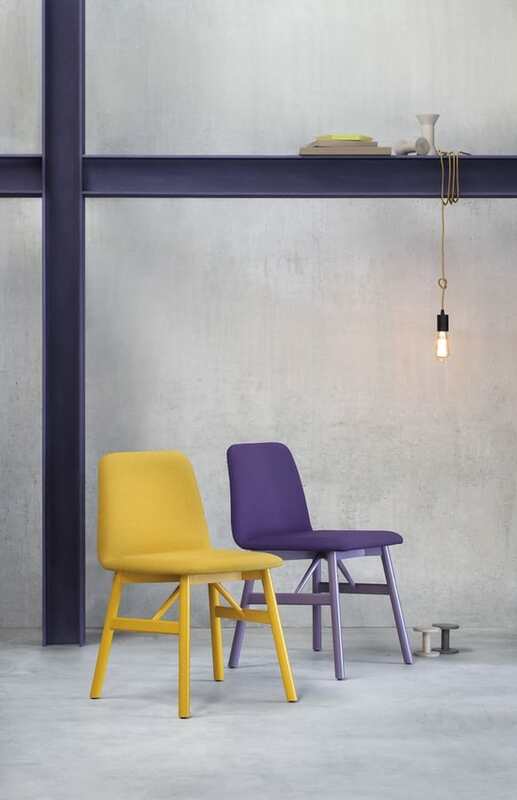 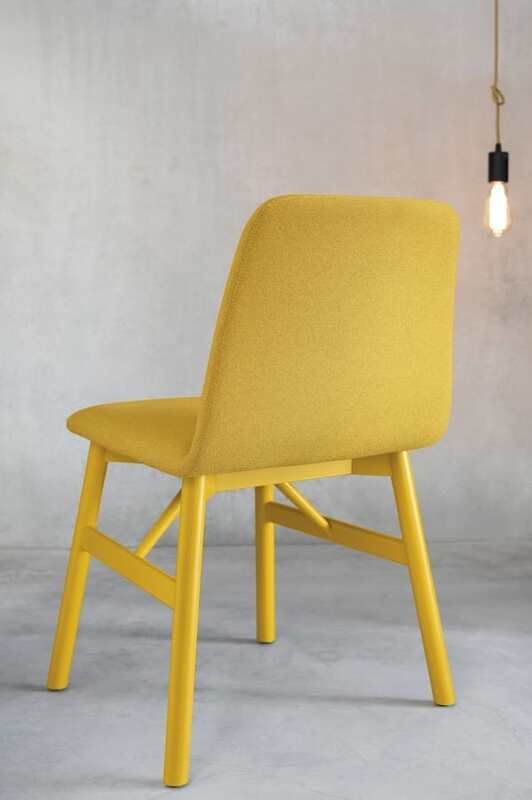 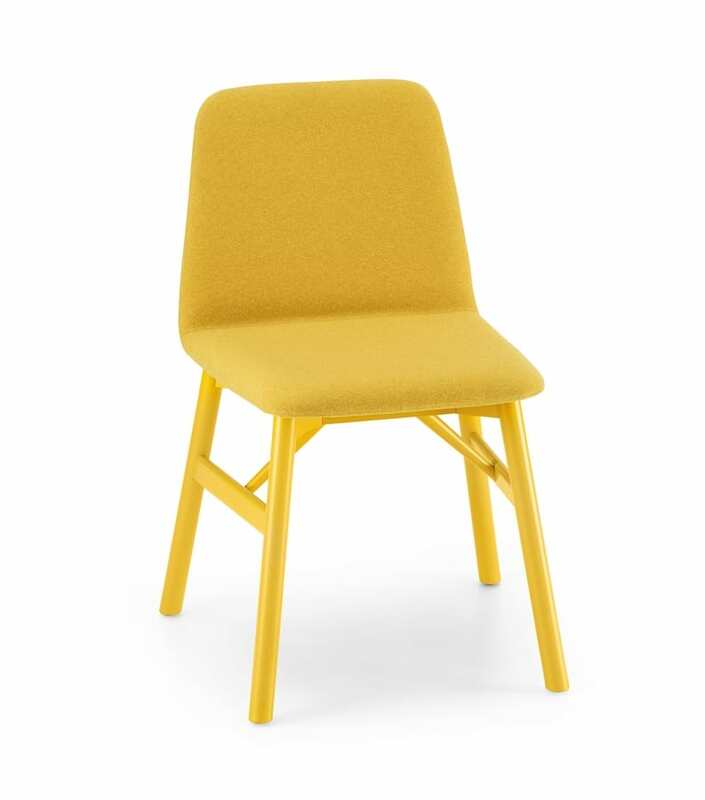 The Bardot collection includes a chair, armchair, stool and lounge chair. 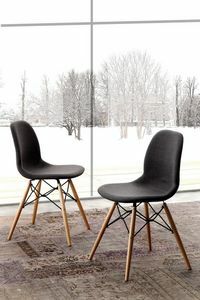 A universal offering to create cosy home settings or to furnish public areas. 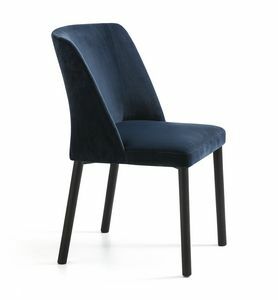 Upholstery: velvet, fabric, faux leather.